Love Him in the morning when you see the sun arising. Love Him in the evening 'cause He took you through the day. And in the in-between time when you feel the pressure coming, Remember that He loves you and He promises to stay. When a twenty-something John Fischer penned "All Day Song" he reached a new generation searching for inner solutions to world problems. Little did he know that song would become a favorite at church camps, in youth groups, and in church hymnals today. This book, a lifetime in the making, reflects on his famous lyrics. 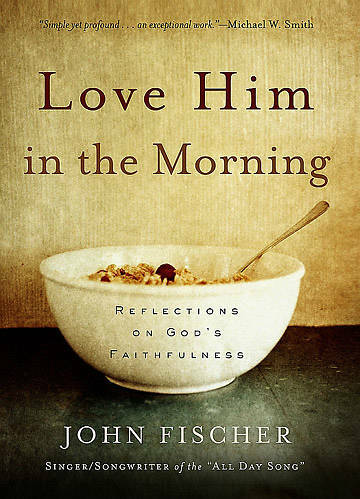 Fischer shows how simple relationship with God can be: Love and be loved. With intimate, conversational, and provocative narrative readers experience: -he wonder of God in the morning when all is fresh and new -the yearning for God at night when we need his grace and forgiveness -the presence of God in the in-between time where most of us live every day. As he did thirty years ago, John Fischer has crafted a powerful and profound message that will motivate ever-new generations to seek God.